Most observers think the odds of some kind of property tax reform are pretty good. What exactly gets reformed remains to be seen. Prospects for significant reform of the property tax system in the upcoming legislative session are good, according to legislators and property tax experts. Widespread consternation about year-over-year growth of up to 25 percent and more in tax levies on rental housing and other Texas properties may at last prompt real relief. While rental housing industry members may not see every change they would like, at least some vexing property tax issues seem almost sure to change for the better in 2019. “You have a pretty good chance of property tax reform this time from the legislative session,” says Sen. Paul Bettencourt (R-Houston), the chairman of the Senate Select Committee on Property Tax Reform who represents western Harris County. Bettencourt, the former Harris County tax assessor and president and CEO of Bettencourt Tax Advisors, has pursued property tax reform the last two legislative sessions. The center of his effort has been a bill limiting the amount taxing units can raise the tax rate without letting voters decide whether to roll back the rate. That reform foundered last session when the House and Senate were unable to agree on details of the proposed legislation. But Bettencourt says he and other senators will try again, and this time could be different. “We’re looking forward to passing the same bill and getting it to a House that is more sympathetic to property tax relief,” Bettencourt said. Rep. Hugh Shine (R-Temple) is similarly optimistic. “I think the chances of a reform this session are very good,” he says. Shine has assembled a group of property tax stakeholders, including representatives of the rental housing industry as well as appraisers, cities, counties and others, who have been meeting since 2017 to discuss reform. Shine says the group, which numbers up to 60, has drafted a half dozen property tax-related bills that group members have generally agreed to support or at least not oppose. Shine’s focus is not on rollback rates. Instead, bills he plans to introduce mostly aim to increase transparency in the way tax rates are set and streamline and improve the way appraisal review boards operate. Bills similar to most of these proposals for property tax reform have been put before the legislature before now, but little significant reform has been achieved in recent years. One potentially meaningful difference this time is the apparent joint determination by members of both chambers to agree. Shine says he met with Bettencourt in late 2018 to discuss how House proposals might be received in the Senate and vice versa. “I’m optimistic that, with the 86th session coming in and looking at results for the election, there’s going to be a better working relationship on this issue,” Shine says. In most legislative sessions, dozens of minor bills addressing property tax reform are introduced and many are passed and signed into law by the governor. During the 85th legislative session both chambers passed major property tax rollback rate bills that differed mostly in the size of the cap. The House bill last session called for a 6 percent cap, while the Senate proposal from Bettencourt specified a 4 percent cap. The difference could not be resolved before the close of the regular and special sessions, which meant no rollback legislation was sent to the governor. “I was surprised that a compromise couldn’t be arrived at 5 percent,” says Jim Popp, an Austin property tax attorney long active in legislative affairs relating to property taxes. Popp puts the failure to reconcile the competing bills largely down to what amounts to a political turf squabble between the two legislative chambers. “It’s the will of the House versus the will of the Senate,” he says. In 2019, matters are broadly similar. Current law restricts taxing units other than school boards from raising rates by more than 8 percent without voter approval. Bettencourt’s bill again proposes a 4 percent rollback rate. The House is likely to produce a 6 percent bill as it did last time. Meanwhile, Gov. Greg Abbott has championed a more restrictive 2.5 percent rollback rate. In addition to the rollback rate debate, legislators will consider proposals on requiring reappraisals of property after natural disasters, increasing transparency in the property tax system, changing the makeup of appraisal review boards and more. 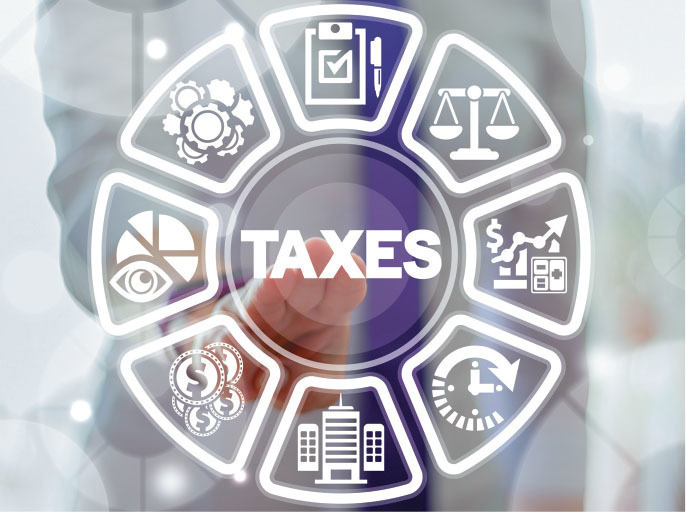 “Truth in Taxation” is the label applied to the concept of making it easier for taxpayers to see what their tax rates and taxes will be in advance as well as to know how the taxing units are splitting up the revenue. Brent South, chief appraiser of the Hunt County Appraisal Board and chairman of the legislative committee of the Texas Association of Appraisal Districts, has worked with Shine’s group to develop a proposal calling for each appraisal district to have a website where property owners can find out all the details about their appraisals, tax rates and tax bills. Shine agrees. “They have done an outstanding job with their website,” he says. “They’ve taken everything we’ve discussed and incorporated it in their website.” Chances of some sort of “Truth in Taxation” legislation like the one from Shine’s group passing are considered good, assuming buy-in from all the members of his working group. Disaster relief is another focus of tax reform. After Hurricane Harvey, some affected appraisal districts re-appraised damaged properties, giving property owners some relief. Others did not, however. Taxing units argued against reappraisals that might lower their revenues at a time when they, too, had damaged infrastructure and needed money to fix it. Bettencourt’s proposal for this legislative session will require automatic reappraisals following disasters. South says the Shine working group is leaning instead toward giving taxing units the option to offer property owners a one-time exemption on disaster-affected properties. Using information from federal and local disaster management authorities, taxing units could offer exemptions of up to 100 percent based on an individual property’s estimated level of damage. One advantage of this system, South says, is that it would be less costly than sending out appraisal teams to do reappraisals. Property owners could protest if their exemptions were less hefty than they felt they deserved. South said the final bill may require taxing units to offer the exemptions, or it may make the exemptions optional. Other proposals likely to be put before the legislature would increase the requirements for citizens to serve on appraisal boards and strive to simplify the process of appealing valuations. Of special interest to the rental housing industry, legislators are likely to entertain one or more proposals calling for special appraisal review boards to handle appeals on larger commercial properties in the state’s largest counties. Commercial real estate owners have complained about the lack of expertise appraisal board members have when it comes to valuing large, complex properties, the difficulty of educating them and the uncertainty of the outcome. That’s an example of the kind of thing Shine wants to change. “Any appraisal review board process for taxpayers needs to be less intimidating,” he says. While some change is highly likely, it’s less certain that the rental housing industry will get all the property tax reform members would like to see. One major stumbling block is school finance. School boards currently have 4 percent tax rollback rates that would not be affected by the rollback rate proposals these legislators are previewing now. But school property taxes will definitely be on the legislative agenda one way or another. School finance, however, is even more complicated and controversial than other property tax reform issues. Shine says that when he was in the legislature three decades ago, the state funded approximately 65 percent of public education costs while the percentage today is about half that. While Texans of many constituencies chafe under rising property taxes, Shine notes that the state’s overall tax burden including sales, property, business and other taxes places it among the five lowest-taxing among the 50 American states. Yet Texas residents rank among the 15 most heavily taxed when property taxes alone are considered, he adds. The legislative appetite for increased state funding of local school districts seems likely to be modest at best. And property tax reform may stall if legislators can’t agree on school finance. Finally, even if school finance is fixed, property tax reform may still be a casualty of what promises to be intense political struggle over the solution. It’s also virtually certain that taxing units such as emergency districts, library districts and others will mobilize to oppose the most significant likely reform, which is the rollback rate proposal. “When these bills come up for debate, the halls are lined with first responders from taxing entities testifying that this would negatively affect their ability to protect and serve,” Popp warns. If school finance is fixed, opposition to rate rollbacks is overcome and the rest of the major legislative property tax-related initiatives sail through both chambers and are signed into law by the governor, that would benefit the rental property industry. However, some rental property owners may want additional reforms. “Truth in Taxation,” for example, is a good idea but doesn’t go far enough, says Marc Ross, president of Bob Ross Realty in San Antonio. What Ross would like is a requirement that taxing units first set an annual budget. Then, after updated property values have been reported by the local appraisal board, the taxing unit would set a tax rate that raises only enough money to cover its budget. That fix would address what Ross calls the main issue. This is the way rising property values mean rising taxes for rental housing owners, even when taxing units don’t increase their tax rates. Property taxes are a major concern for the rental housing industry. Texas Apartment Association members report that property taxes make up from 20 percent to 25 percent of their operating expenses. This means that, on average, around 5 cents of every rent dollar goes to property taxes. The exact figure depends on various factors, including the age of the property and how it is financed. And, unlike many taxpaying constituencies, rental housing owners do not have special protections. Individual homeowners, for example, are eligible for a homestead exemption that can reduce the taxable value of their property by $25,000 or, at the option of the taxing unit, up to 20 percent. Disabled homeowners and those older than 65 can get a $10,000 homestead exemption on school taxes, in addition to the $25,000 other homesteads can get. “The one that’s disadvantaged the most is the guy who’s renting property,” Ross notes, “because they get no exemptions.” The costs of property taxes, of course, are borne by renters. Thus far, however, there’s no visible support for granting special exemptions to the rental housing industry. In Texas Capitol politics it is almost a given that few significant legislative proposals can expect to become law without the backing of at least one or more of the state’s three most powerful elected officials: the governor, the lieutenant governor and the speaker of the House. The flip side of that axiom is that when those leaders favor a proposal, it has a good chance of passing and being signed into law. And the good news for rental housing industry members longing for property tax reform is that both Gov. Abbott and Lt. Gov. Dan Patrick have come out in support of property tax reform. The two have particularly endorsed rollback rate provisions. Abbott’s proposed 2.5 percent cap on taxing unit rate increases is even more aggressive than the legislature appears likely to pass. And while it’s not clear who will replace Rep. Joe Straus as speaker, the sentiment is that the new speaker will favor property tax reform. When all is said and done, the 86th Texas Legislature appears poised to make real progress on reforming the property tax system. 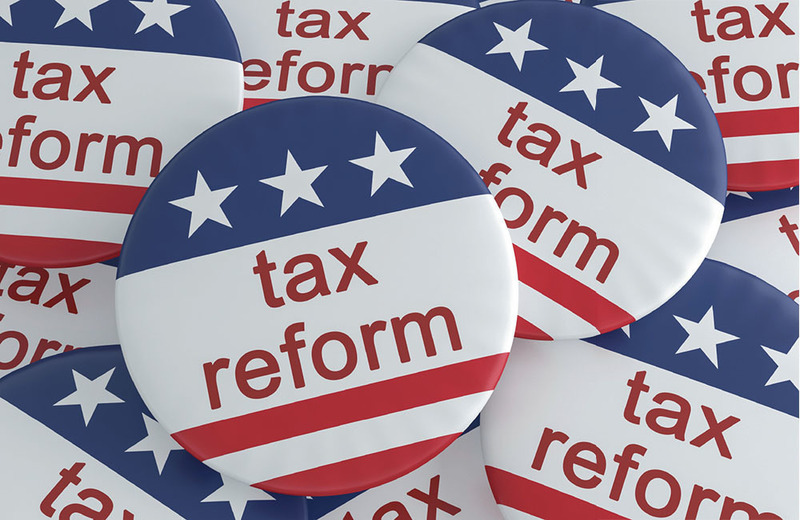 Whether and to what extent that change will reshape rollback rates, disaster reappraisals, “Truth in Taxation” provisions and the other elements of the property tax system up for modification is far from crystal clear at this point. But change of some sort to the way property taxes are calculated and paid is almost certainly coming. Mark Henricks is an Austin-based freelance journalist whose articles on business, technology, personal finance and other topics appear in leading publications. Legislative leaders are determined to make headway this session on some version of property tax reforms. Approaches differ but might include caps on rollback rates, “Truth in Taxation” measures and appraisal review board reforms, and special considerations when properties have been impacted by natural disasters. School finance, always a complicated issue, is likely to be on the legislative agenda as well since school property taxes play a major role in the overall property tax bill. Reprinted with permission from the Winter, 2019 issue of Texas Apartments, an official publication of the Texas Apartment Association. Copyright 2019, Texas Apartment Association. All rights reserved.